Do you believe that “majority rules?” I am reminded of the game show, Who Wants To Be A Millionaire, and their “Ask The Audience” tool. If a contestant doesn’t know the answer to a trivia question, they have the option, one-time only, to ask the audience which answer the audience would choose. Audience members then pick up a key pad and enter their answer to the multiple choice question. The contestant then sees the results, hoping desperately that a large majority of the audience chose one answer. Sometimes the audience does just that, making it easier for the contestant to go with the majority. But sometimes, particularly on hard questions, the audience is not able to pick one answer with a large majority. How often do you think the audience majority is right on Millionaire? In the church we often think majority rules. We often create a system of church governance based on majority rules. We Americans especially love this because of our culture of voting. Everyone gets one equal vote. We all have a voice, an equally important voice. So churches, particularly in America, have adopted at least a partially congregational form of governance. Is a congregational style of church governance a mistake? I suppose it would better to ask, Can we support a congregational approach with biblical teaching? Yes, some will say. No!, say others. And still others, maybe. Take a minute with me to think about this. Faith Church is officially called Faith Evangelical Congregational Church. Isn’t that a mouthful! The Evangelical Congregational (EC) part of our name is a reference to our denomination, the EC Church. (To my EC brethren, can we please consider shortening our name somehow? I say that with a smile on face, but I also consider it a legitimate concern.) The EC in the EC Church is not just two really long words. They mean something. I dealt with that word “Evangelical” a few weeks ago (and why we’re removing it from our church sign), and now let’s look at the word “Congregational” (which, by the way, we’re also removing from our sign, but just because it is such a long word!). Basically, the word “Congregational” speaks to our polity. “Polity” is little word that refers to a form of government. You can see how it is related to the word “politics.” People often complain that a church can get so political, insinuating that to be a bad thing. But the reality is that all churches have some form of government, and thus by their very nature are political entities. EC Churches are congregational in polity. What that means, historically, is that we each own our property, and we are self-governing. We voluntarily commit to and connect with the denomination. Locally, we also see the will of the congregation as important. We have an annual congregational meeting where all members can vote on things like who will fill leadership roles, our annual budget, large purchases, and any changes to our by-laws. I suppose some congregational churches could try to be even more congregational than we are. They might try to have a congregational meeting monthly or even weekly and vote on all kinds of matters. We don’t do that. Our congregation long ago decided that they wanted to turn over the administration of the ministry of the church to a smaller group comprised of members of the congregation. That group is our Leadership Team. In the Bible these people are called “elders”. But even the Leadership Team, meeting every other month, cannot devote enough time to organizing the ministry of the church, so the congregation decided to create seven Serve Teams, one for each major ministry area of the church: worship, fellowship, discipleship, outreach, missions, stewardship (finances) and operations (physical plant). 5-7 volunteers from the congregation serve on each of those teams, and thus in the serve teams we see congregationalism as well. But is this version of church polity a biblical one? Sometimes, to reveal a bit of my thinking, I wonder about the value of congregationalism. I see pros and cons. On one hand, I think it is really good and important for as many people as possible to get involved and invested in the life and ministry of the church. Giving, serving, praying, helping, leading, teaching, you name it. But on the other hand, is it possible that congregationalism, at its root, is based on the assumption that majority rules? Don’t get me wrong. I think Faith Church’s polity is very balanced. It also seems very possible that the concept of majority rules is faulty when it comes to church polity. Should we ever make any decisions just because the majority says so? As Nelson Mandela famously said, sometimes the people are wrong. In those moments, we need leaders to step out and lead, even if our leadership is unpopular. The concept of “majority rules,” and therefore congregationalism, is not always best. In fact there are some wonderful biblical passages we will look at to delve into this further. Just as the congregation is not always right, because sometimes people have the wrong ideas, people should not all have equal footing to impact decisions. Before you think I am being discriminatory, let me explain. In our society, we are right to consider all people equal. But aren’t there really limits to that? Not all are equal when it comes to performing heart surgery, right? You don’t want just anyone managing your 401K, do you? Furthermore, not everyone should be teaching our kids, should they? So let’s look at congregationalism and leadership a bit further. Some people want to be leaders and some don’t. Some people who want to be leaders have no business being leaders. Some people who don’t want to be leaders would be great at it. Is it wrong to want to be a leader? Does wanting to be a leader automatically disqualify you from being a candidate for leadership? Maybe. Maybe not. What are the factors going on behind the scenes in a decision like this? Who should be a leader? Why should they be a leader? And how should we select them to become a leader? Once they become a leader, how should they lead? And for those of that are not leaders, what posture should we have toward our leaders? As you can imagine, this coming Sunday I will be preaching on leaders and leadership, and to an extent, followership also. My spell-checker doesn’t like that word “followership”. It underlines “followership” with a squiggly red line to alert me that it might be a typo. I double-check, and it is not a typo. So my computer has not heard of followership before. It should have. Have you heard of it? You should have also! A few in the church will become leaders. Most will be followers. So just as leaders should learn the art of godly leadership, followers need to learn the art of godly followership. Join us at Faith Church on Sunday as we talk about leadership and followership in the church. 1. An old, but working computer in a cardboard box. This one is not a mystery. My cousin Eric donated the computer, and I picked it up last week. 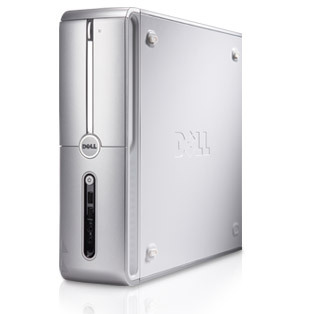 It is a 2009 Dell in very good condition. We don’t have a need for it in the church, so we’re going to pay it forward to Church World Service (CWS) Lancaster where my sister Laura works. CWS does an amazing job helping refugees from all over the world resettle in Lancaster. The government of the USA generously helps people fleeing religious persecution, ethnic cleansing, political strife and natural disaster by granting them entry to our country. People have come from places as diverse as Haiti, Iraq, Nepal and Somalia, to name just a few. CWS will gladly give this computer to a refugee family so they can get connected, do school work, apply for jobs, etc. If you want to learn more about CWS, just see all they’re doing here. They have loads of ways to get involved. 2. Health insurance paperwork. Like many of you, I’ve been working on getting new health insurance. I’m not totally sure how to write about this without sounding fussy. Here goes. I’m very, very thankful for health insurance. I’m very, very thankful for employment with benefits like health insurance. We have used our health insurance numerous times over the years, and I fully expect we’ll use our new health insurance, whenever that time comes that I get it figured out. I hope and pray that a major health situation is not around the corner, and I am very thankful that over the years God has blessed our family with good health. I suppose that even if a health event happens, it won’t change the fact that we are blessed, and we will work on being thankful even in the midst of difficulty. Which is exactly the attitude I need to have about the changeover to new insurance! Thankfulness isn’t always easy to come by. So this is a reminder to me too. It reminds me of the song “Blessed Be Your Name“. We can praise God even when the world is not all that it should be, such as when signing up for new health insurance is proving to be a lot more difficult than I expected. “Blessed by you name, Lord!” This also reminds me of a scene in Notting Hill, one of Michelle and my all-time favorite movies, where the two leads, played by Julia Roberts and Hugh Grant, have started an unlikely romance, he a no-name London bookshop owner, and she a world-famous American movie star. After some twists and turns they get into a big fight. Just then his wacky roommate, played by Rhys Ifans, pipes up and says “What he’s going to say next is — there are people starving in the Sudan”. It doesn’t go over well in the movie, and often doesn’t go over well when we try to put things in perspective. I suppose it is because we are feeling our pain and frustration now, and it still hurts, no matter how small it is in comparison to people across the globe. But if we let it, remembering that our troubles are light and momentary can really help change our attitude and be thankful. 3. Serve Team Covenants. People placed a number of these sheets in my office. Faith Church‘s governance transition continues on, and I am super thankful for all the people that are involved. New this year, we are asking volunteers to make one or two-year commitments to one of our Serve Teams, and then to begin that commitment by signing a covenant form. In the past we did it all by election. Of course we don’t know how this will turn out in the future, but I’m excited by how God is working in people’s lives as we see each of the seven Serve Teams shaping up. We’ve had such a wonderful 2014 in the life and ministry of the family of Faith Church. I think 2015 is looking like more of the same! Now it is time to clean up this mess!